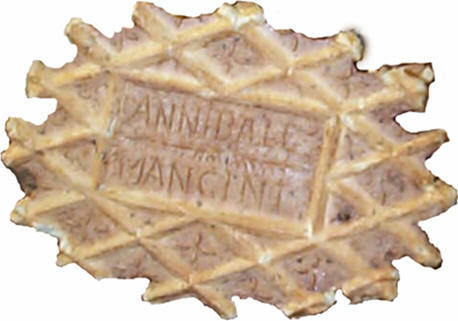 Made on the family's Iron the same way (give or take) since 1920, celebrating its 90th year of Pizzelle making this year. I learned to make Pizzelle from my (Grand) Aunt Helen when she started getting on in years and got a little too frail to make them herself. She had in turn learned from her mother (my Great-Grand Mother Anna). My mother laughs and claims the cooking or cookie genes have somehow skipped a generation, but regardless, I now cook them for family and friends. 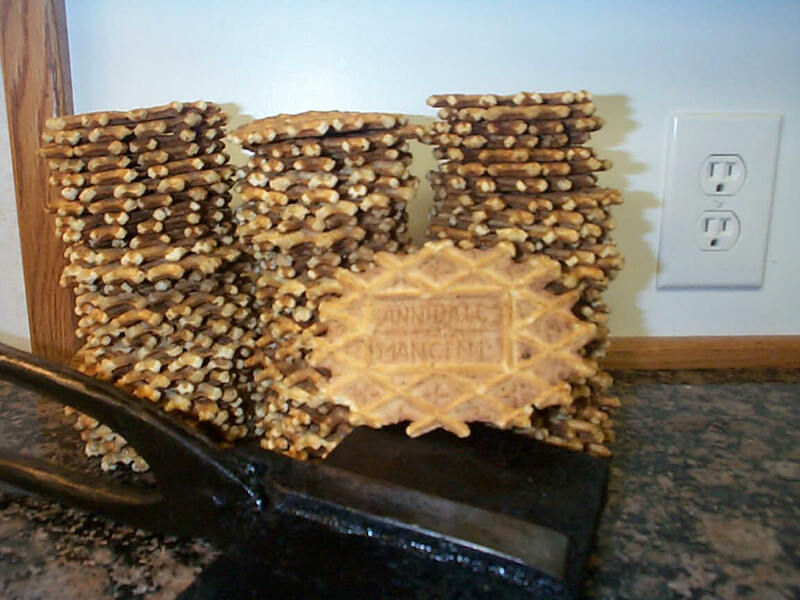 I make my Pizzelle one at a time on my family's Iron (shown here with my Pizzelle) as has been tradition since 1920 (90 years of near continuous use now) when my Great-Grandfather made the family iron which has been passed on and is still in use today. The Holidays are my busy period with over 48 hours of cooking time standing in front of the stove between Thanksgiving and Christmas. Pizzelle (I'll BRAG here a little and say "especially mine") don't usually last very long, but they do have a good shelf life (easily several weeks). My Mom has discovered if they do start to get a little stale or soggy, you can place them on a cookie sheet in a pre-heated 350° oven for about 5 minutes just until you can start to smell them, and they are wonderfully reconstituted.